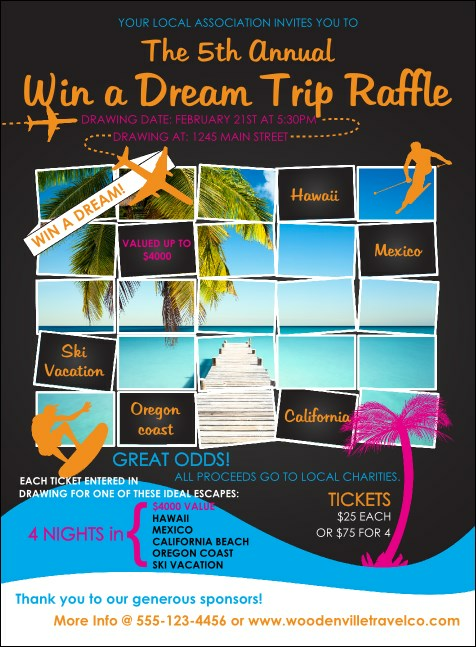 Invite your guests to dream of their perfect vacation spot when you print Win a Vacation Invitations and send them out to your guest list in advance. These beautifully designed Invitation templates feature the image of a relaxing island paradise complete with palm trees and surrounded by clear blue water. Take a vacation from event-planning at TicketPrinting.com.